Lori Theriault makes beautiful pots you can use every day in home or professional kitchens. Her functional and decorative stoneware pottery is notable for her organic designs in various forms, using glazes, surface textures, sgrafitto carving, delicate brush work, and wax resist. Her service ware for restaurants is designed with each chef to create singular designs that become a beautiful canvas to showcase their work. 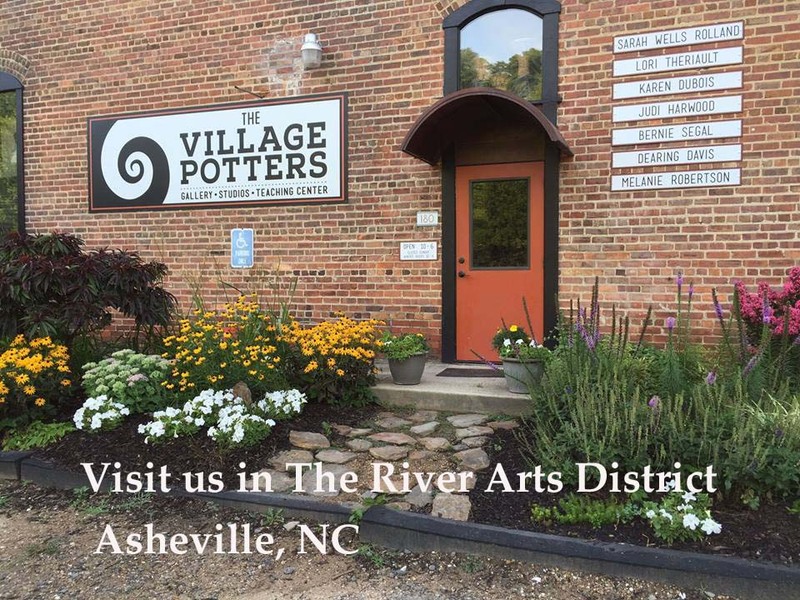 ​Crazy Green Studios is located at The Village Potters in Asheville, NC. Lori Theriault is proud to be a founding Collective Member of The Village Potters, whose mission is to inspire a passion for ceramic art and nurture creative exploration through education, experience, relationship, and community. Our location in Asheville's historic River Arts District houses three showrooms of contemporary craft and art, the fully equipped working studios for six permanent Resident Potters, an affordable Teaching Center committed to skillful creative development, and the Village Potters' Independent Study & Mentoring Studio​, offering a directed mentorship program for emerging potters. 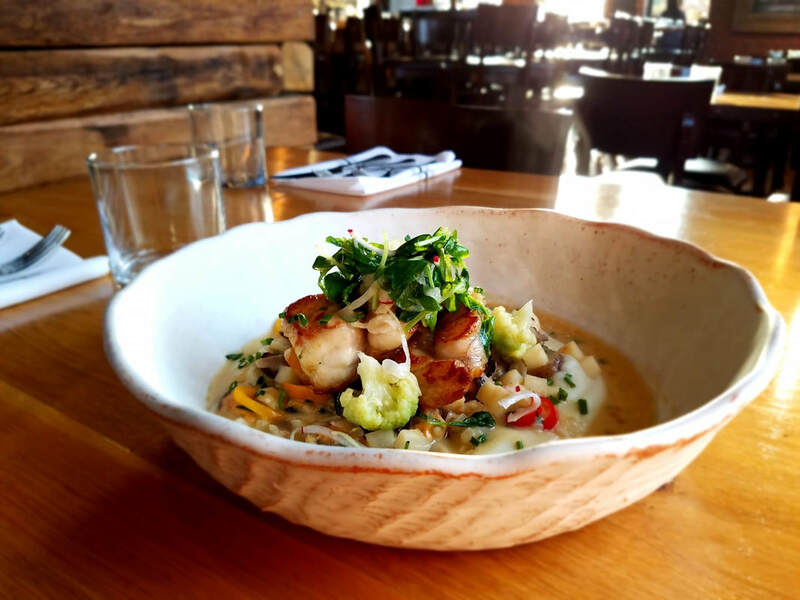 I'm thrilled to have my bowls holding Chef Brian Crow's exquisite dishes at Chestnut Asheville! 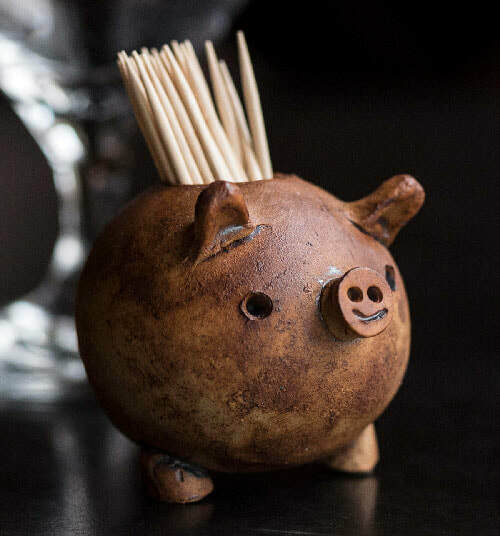 Cúrate Toothpick Pigs are now available online! Service ware for Tandem Restaurant, Carrboro, NC. Your signature dish deserves a Signature Dish! Let me design beautiful work for your tantalizing creations! Want to hear more about what's going on? Sign up for the Newsletter!